Posted by Edwin Ritter in career, User Experience. One of the oldest online applications that we still use on a daily basis is email. Short for electronic mail. You may have seen e-mail as a variation also. In the old days, email was the primary tool to connect with another person after the phone. I look at email as an evolution on the hard copy office memo. Compared to the phone, email had the advantage in that you send a note whenever time works for you and the recipient reads it some time later. Checking your in-box for new email is a bit like opening Christmas presents or a box of chocolate as you never know what you are going to get. That may help explain why we check for new email so often. I won’t segue about faxes. Never was a fan – too error prone, not always legible and non-secure. Focus and back to email. 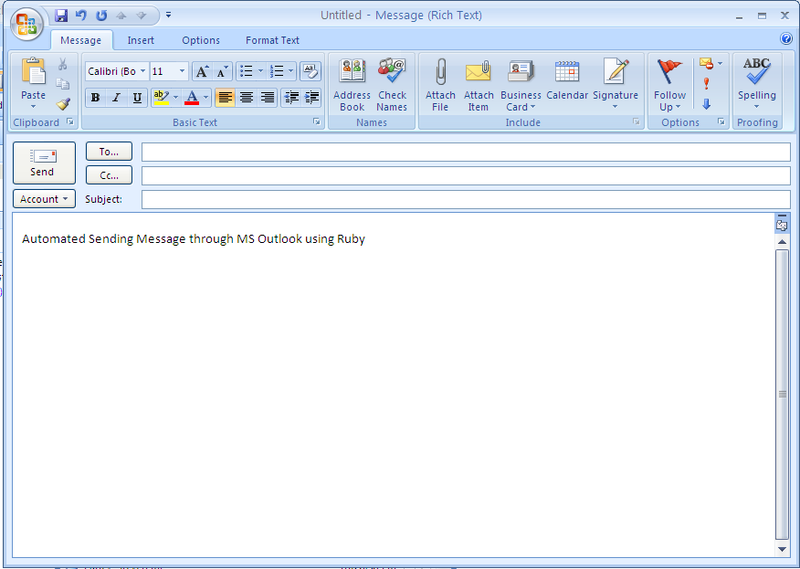 Fast forward to present day and almost everyone uses Outlook for their work based email application. There are free email tools also (gmail, yahoo, etc.). Email as a tool has come a long way since the old days. For the average office worker, there are many features that go unused. Checking email is very easy from a laptop or mobile phone. In fact, so easy, it is expected that you are always current on reading your email. Here is the point I want to get to: email is easy to use but not always an effective way to communicate. Over time, the impact has diminished. It is too easy for someone to say ‘I sent you an email’ when they see you in the hallway/cafeteria/bathroom or by office cooler/coffee pot/water fountain. Great. You sent me a note. That explains everything. Now, it is my responsibility to read it. And, I may have to respond. So, I need to find time to catch up and read your note. Yours and 40 others since this morning. What I read it not always helpful. In fact, it may raise more questions than it answers. Worse, it confuses me and is not helpful at all. There are times when I take the note and walk to the sender’s office and say “I don’t understand your note, can you explain?” Not helpful. Soon after email became ubiquitous, the behavior seen with memos was transferred online and also heard in reference to email. ‘Did you not read the email I sent?’ was a common refrain. Ditto the aforementioned ‘I sent you a note about that’. Or, the condescending ‘It’s all laid out in the email I sent’. 1) Think about what you want to say. Be clear and don’t make me think about what you are asking for – say it and stop. 2) Use some structure. Email is free form text mostly. However, outline your thoughts. Also, insert images or links to illustrate your point(s). 3) Be complete. If there is background, refer to it from a past note or meeting. Include a link to a site with more information. 4) Use the Subject wisely. Include something meaningful not whatever is top of mind. 5) Do NOT send me a note asking if I got your note. Assume I got it and chances are high that i did. Those days are long gone when notes are not delivered. If they are, you are using the wrong email address for me. Email has come a long way but going forward, its’ usage will decline and we will interact using social media platforms instead. There are so many other choices available – blogs, wikis, portals the list goes on. Some time in the not distant future, email will be done and surpassed by a tool with more features and ways to send and receive information. I hope our habits will change to advantage of what is available. When that happens, send me a note about that, would you ? Posted by Edwin Ritter in career, Miscellaneous. A nice feature provided by WordPress and an easy way to share this summary. Their stats helper monkeys prepared this 2013 annual report for my blog. How was your traffic? What goals did you meet? Looking ahead, what expectations do you have for your blog in 2014?